Pinterest. Instagram. Tumblr. The future of the web is visual, but how does anyone make money on that? By understanding what’s in the images people post and connecting them to where you can buy what you see. That’s Curalate’s job. The image recognition marketing startup just raised $27.5 million led by NEA, bringing it to $40 million in total funding. If a picture is worth a thousand words, Curalate makes brands literate. 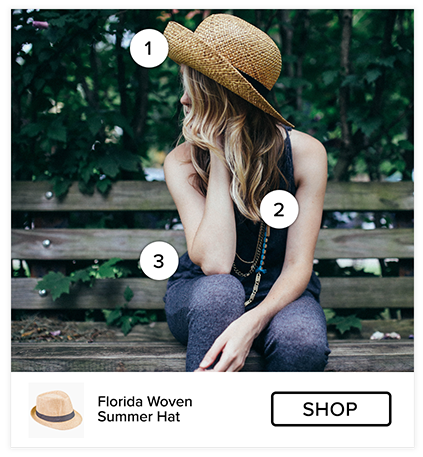 Ads – Allows brands to buy ads on Instagram and Pinterest using additional proprietary targeting options. Rather than sitting back and letting social media happen to them, Curalate allows brands to step up and start measuring, utilizing and enhancing it. Since 2011, Curalate has assembled a who’s-who of giant retail brands and social media powerhouses as customers, including Refinery29, Nasty Gal, Gap, Nordstrom, Neiman Marcus, Sephora, Urban Outfitters, J.Crew, True Religion, and BuzzFeed. That success attracted NEA, which has led all its rounds from seed to this Series C which also includes previous investors First Round Capital and MentorTech Ventures. There are plenty of tools that take care of part of the visual commerce process, but Curalate’s strategy is to roll them all together in an easy to buy monthly SaaS subscription. The risk is that more nimble competitors could pick it apart with piecemeal, best-in-class products. The new $27.5 million in funding will go toward hiring and product development to prevent that. While marketing has typically been a top-down activity with brands trying to hard-sell their customers, the future is more bottom-up. Social media influencers are amassing enormous followings on social networks that stodgy brands can’t match. When they say they like or wear a product, huge sales ensue. Curalate’s product is well poised to adapt to this massive shift. Brands can monitor which of their products are visually trending, use the insights to hire social media stars to create sponsored content for them, and then make that content shoppable on their own sites. Bigger screens, better cameras, faster connections, and social networks have changed the rules of physics for marketing. Brand-written text is out. Customer-shot photos and videos are in. It’s a natural shift in power that businesses can’t control, but they can hope to harness. And Curalate is their hydroelectric dam.